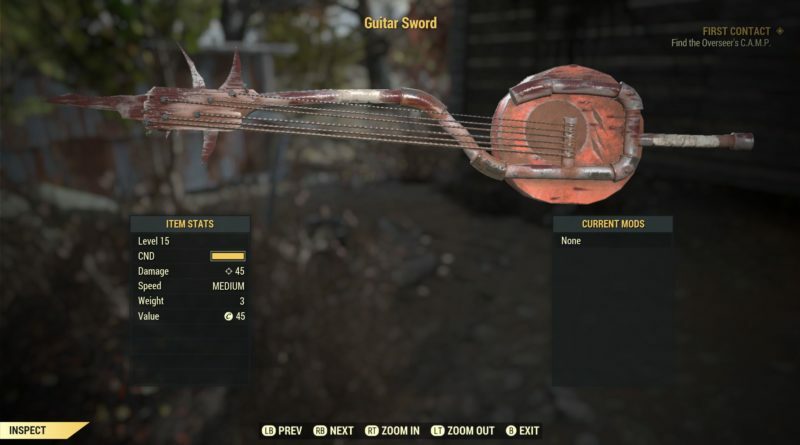 Fallout 76 Guitar Sword has been confirmed! Pete Hines has also confirmed this can not be played as an instrument. Copyright © 2019 Fallout 76 Insider. We are not affiliated with Bethesda or Fallout.